Brown is the new black with Hayabusa’s new Kanpeki Series. Check out the Hayabusa Kanpeki Series MMA Gloves. These great brown gloves offer an excellent fusion of craftsmanship and performance with their exclusive Y-shape volar design. Gone are the days of struggling with loose gloves whether fists are clenched or with hands wide open. The elegant design lives up to Hayabusa’s tradition of giving us great MMA gear. 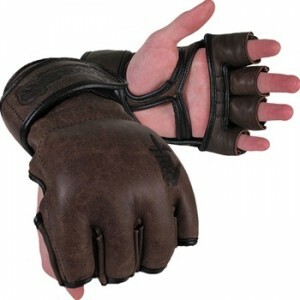 The Hayabusa Kanpeki Series MMA Gloves are available at MMAWarehouse for $74.99.